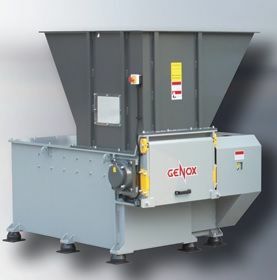 NEW Genox Metals Recycling Systems. - Shitable for the conveying heavy, sharp, difficult to handle materials in extremely demanding working environments. - High torque, slow speed shredding of the input materials into manageable strips, typically 100mm wide x 300 mm long, suitable for further processing in downstream equipment. 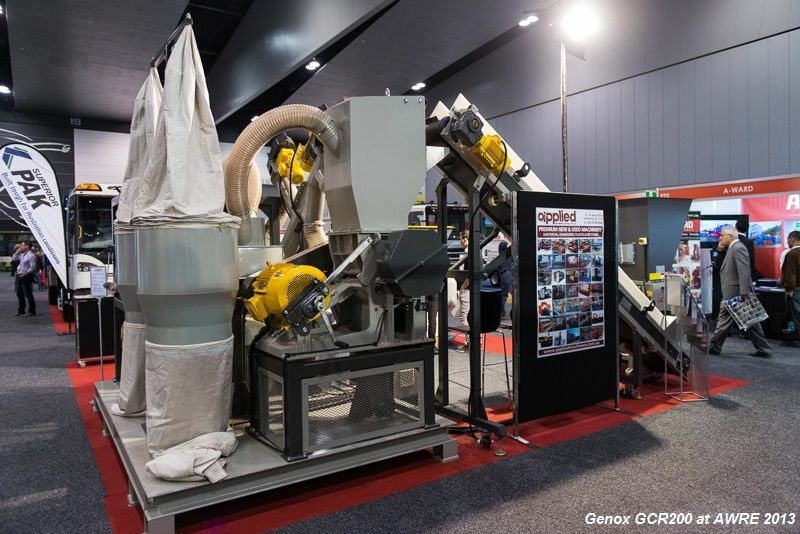 -For the aggressive size reduction and densification of pre-shredded materials into 50-80mm pieces. 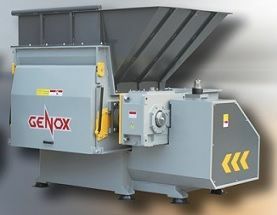 During this shredding process the material is sheared, crushed, rolled and smashed, creating a clean, dense, steel frag product, whilst also liberating other materials to allow for effective separations. 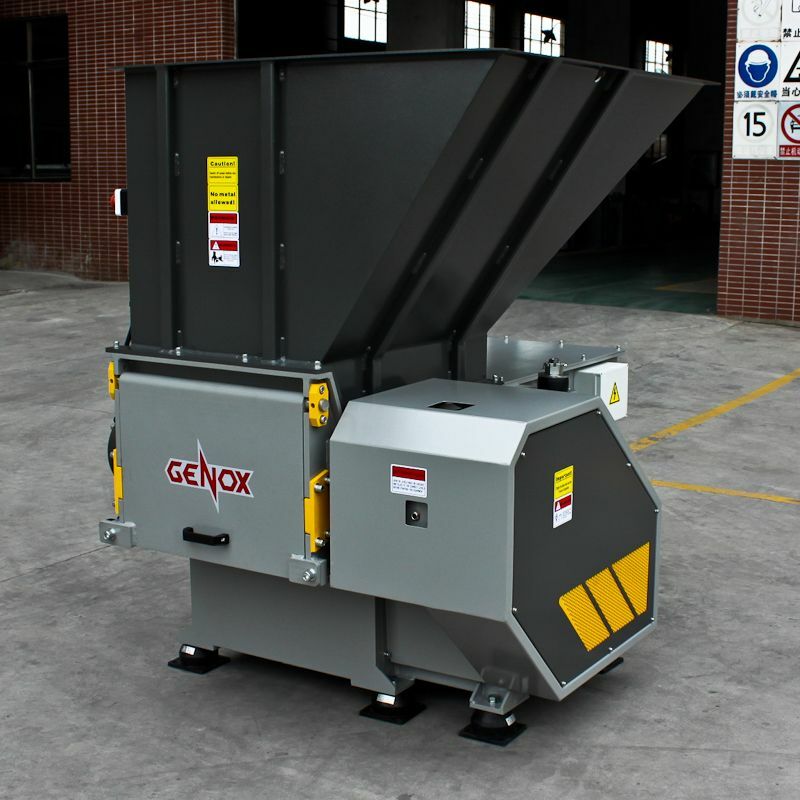 - Dust and fines created during the shredding process are extracted to a centralised filtration system through a series of ducting. 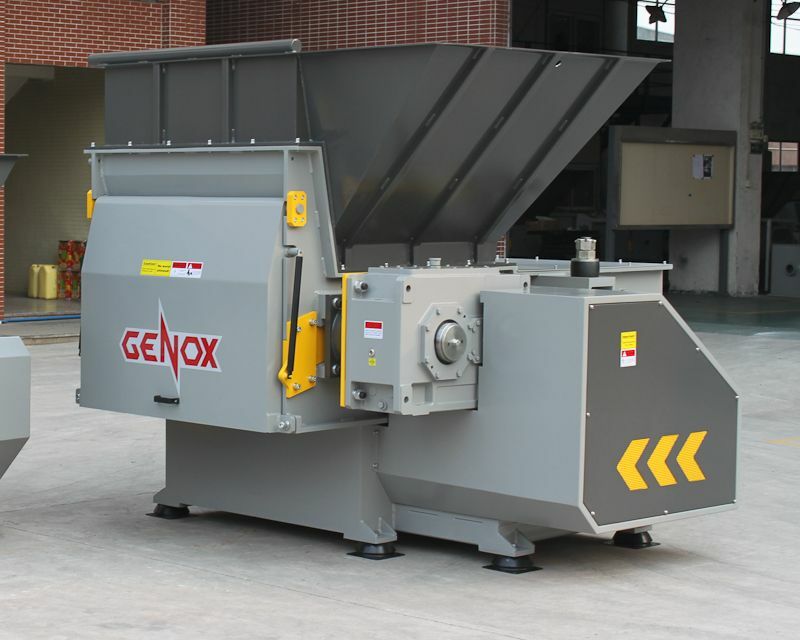 - Shredded material is conveyed by a vibratory feeder at a controlled rate to the under side of a drum magnet. Ferrous matal is attracted to the magnet and is delivered onto an inclined conveyor. The non ferrous falls beneath the magnet and is conveyed to an Eddy Current Separator. 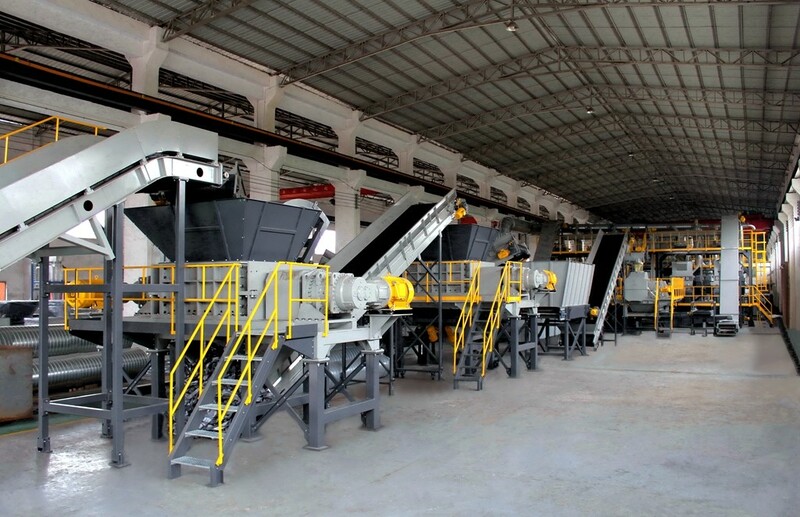 - Separated ferrous material from the magnet system is conveyed to a single ischarge point. - Non-metallic material is conveyed to a drum screen ( trommel) and can besegregated into < 25mm, 25-50mm & 50mm+fractions. 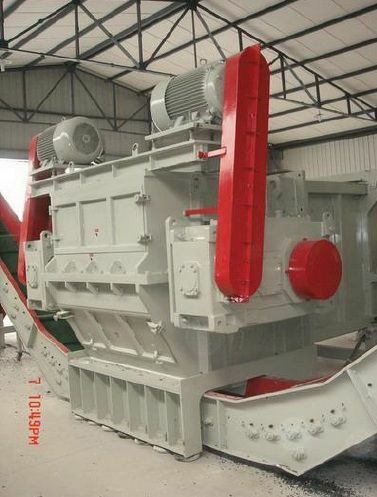 - The non magnatic materials are conveyed to the ECS rotor at a controlled rate. The material is separated by a diverter plate into non-ferrous ( aluminium, copper & brass) & non-metallic fractions (plastics etc.). These products can either be sold as is , or be further processed and upgraded to increase their value.